VA Struggles To Reach Other-Than-Honorable-Discharge Vets In Need Of Help VA says 115 vets with other-than-honorable discharges received mental health care last year under a new program. Veterans advocates say it's a tiny fraction of such vets who need help. 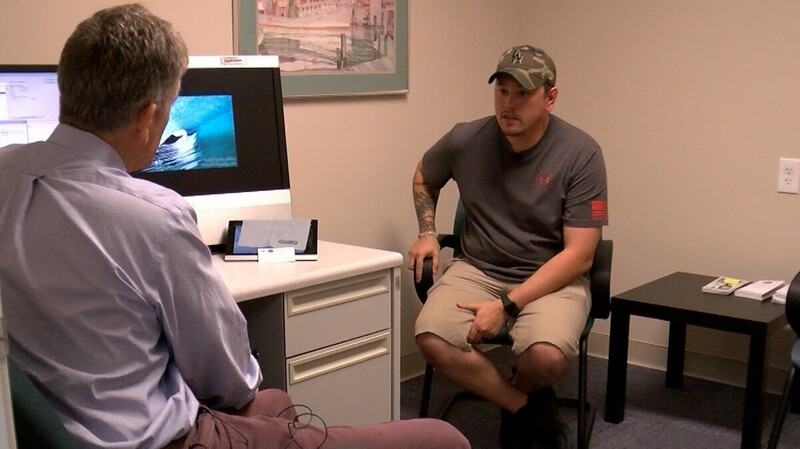 Former Marine Josh Onan talks with George Kevin Flood, a staff psychiatrist at the San Diego VA. Onan is taking advantage of a year-old program that makes VA care available to people with less-than-honorable military discharges.